So, in the spirit of scratching around for good omens and the need in football for [cliche klaxon] “focussing on the positives”, I’m taking the fact that my Rotherham contact has been unable to deliver a Q&A as a good sign. This same combination of events produced a City win on Wednesday night, so it’s bound to be repeated tomorrow right? The downside is instead of a detailed insight into Rotherham’s strengths, style of play and potential match-winners, you have me droning on again. Sorry. 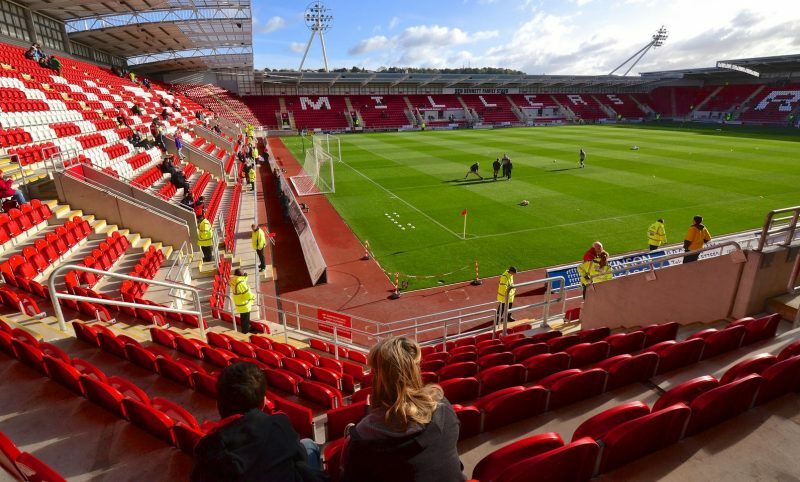 So.. Rotherham… what do we know? Well, like our friends down south, Paul Warne’s men are currently in the Championship’s bottom three. But, unlike the team from the would-be city, they are making a proper fist of their relegation battle. They’re making it a battle. There’s no talk in Rotherham of preparations for League One, or how much fun next season is going to be. The sleeves are rolled up and the fight is well and truly on. These boys mean business. They also go into tomorrow’s game off the back of their first away win in 44 attempts after dumping further misery on Shteve McClaren at the same time we were getting under the skin of Nigel Adkins [and all of Leeds and (half of) Sheffield]. Their 2-1 win at QPR took them level on points with Reading and Wigan and only one behind Millwall. That’s how you fight against relegation. No white flags in Rotherham. All of which makes for a tricky ol’ game tomorrow for City, especially bearing in mind what has happened to us at the New York Stadium in the recent past. And let’s not forget they went in 1-0 up at half-time back at Carrow Road in October having been the better side – although that was back in the day when we only used to turn up in the second half. But they have some momentum and we know all too well how Paul Warne will have them organised, energetic and eager. In terms of style, they will be more Millwall than Swansea, and it really will be one of those days when City will have to earn the right to play. Left-back Joe Mattock picked up his 10th booking of the season in the win at QPR in midweek so will miss the game. He joins Will Vaulks on the suspension list, with the midfielder – who was sent off against Sheffield Utd – still having two games to serve. Midfielder Joe Newell is doubtful, with a dead leg, while defender Clark Robertson is struggling with a hamstring injury and looks likely to miss out, along with Kyle Vassell (groin) and Jamie Proctor (hip). They also have a chap at the back called Semi Ajayi who scored twice at QPR and will therefore be a major threat at set pieces. But, having said all of that, if City can match up to the Millers in the physical sense and then find their passing rhythm, then you have to fancy us. One final thing before we hear what the MFW team think is going to happen – please please please can the travelling Yellow Army make it abundantly clear to Tim Krul that every sensible City supporter out there is behind him 100%. Let’s not allow a few morons inflict even a minor blow on the togetherness and momentum we’ve built up over the course of this wonderful season. Penney predicts: It’s one of those games. On paper we’re far too good for them but they’re fighting for their lives. I’m going to go for a reasonably comfortable 2-0 City. Andy assumes: We’re a little more cautious away from home which often works in our favour. I’m going for a 2-1 City win. Gaz guesses: We do tend to play with a little more freedom away from home, not least because we can sit tight early on and be a little more circumspect, and it tends to work well. 2-0 City. Stew suspects: It’ll be more like Millwall than like Bolton (sadly) or Preston (thankfully). May need patience, but our football should prevail. Assuming we bring our shooting boots, I’m plumping for an eventual 3-0 to City. Have to agree with Cookie; 2 – 1 to City…which will be the perfect riposte to a draw at Elland Road. Like you I think city will have to take the tough tacking that surely will becoming their way. It could well be goaless first half with city getting the rewards in the second. Well I’ll be in the Bridgewater Hall all afternoon and evening, but we get a break around 6.00pm when I’m hoping to find out we’ve won 3-1. Or by another score actually, but 3-1 sounds nice for these purposes. By the way in case anyone’s in any doubt, regardless of how we get on the best result in the other game is a Leeds win. That would mean SU’s max points would be 95. Anything else and both sides can theoretically achieve higher than that. I hope you’re all right but as the eternal pessimist in our supporting family I’m going for a draw, why, well in part due to Rotherham getting their first win for a while in midweek, partly the physical style they will play, partly the weather (very wet and very windy) and partly a sort of Brentford/Preston (A) worry that an unchanged NCFC team will look a little tired and not quite match their best. The only saving grace is I’m also predicting a draw at Helland road so all three teams stay “as you are”! Get in! Never listen to a pessimist! Delighted to be wrong (again) and almost converted to an optimist! !